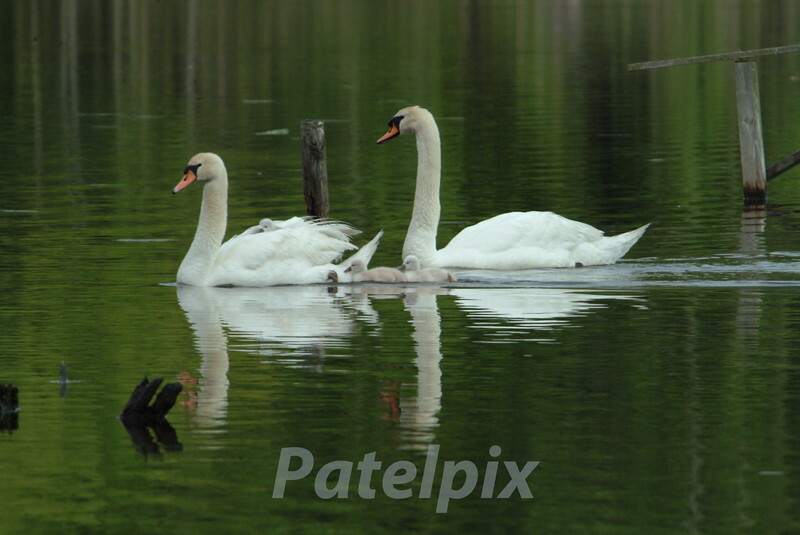 The cygnets remain very close to the parents, and are under their constant protectiion. Despite this, most cygnets become food for the snapping turtles. The rules of nature prevail --- only the fittest will survive.